Resource center Does My Insurance Cover Drug Rehab? Does My Insurance Cover Drug Rehab? The decision to enter rehab for drug or alcohol abuse can be an intimidating one. Many people who are ready to take the path to recovery might be concerned about the cost of rehab, and whether or not they can afford it. If this concern is strong enough, it may discourage those who need assistance from pursuing the comprehensive programs that are most likely to help. They may instead decide to go through detox only, or opt for programs that have one element of the care needed but don’t provide the full range of treatments – detox, therapy, education, practical support, and aftercare programs – that, together, are more likely to lead to long-term recovery. These people may not be aware that there are options for covering the cost of rehab, including help through the insurance coverage they may already have. These options can soothe fears about how to cover treatment and make it easier to begin the process of finding help. It is possible to cover at least part of the cost of rehab through insurance. While not all policies have this coverage, and others may not cover the whole cost, using insurance to help with the cost of rehab can remove a significant amount of the financial burden. Understanding more about what may be available and understanding the insurance policy of the person who is seeking rehab can help in making the ability to enter rehab less intimidating. For any of the following options, working with experienced professionals at a reputable, comprehensive rehab program can help to clarify just how much of the program will be covered and what the out-of-pocket costs will be. For people who have purchased their own, privately held insurance without going through a government-sponsored option, the level of coverage depends on the policy purchased. In general, paying a higher monthly premium will result in a higher level of coverage. It’s important to check with the insurance company to see what type of mental health coverage is included in the policy. In 2008, the US passed the Mental Health Parity and Addiction Equity Act (MHPAEA), which mandates that group insurance financial requirements and treatment limitations for mental health and substance abuse coverage are no more restrictive than those required for surgical and medical benefits. This applies for companies that employ 50 or more people. According to the U.S. Bureau of Labor Statistics, most employer-provided insurance plans offer at least some degree of coverage for substance abuse treatment. However, the amount that is covered varies depending on the policy. For those who get insurance through their employer, it is important to look at the provided policy to see what is covered. In some cases, it may also be possible to cover at least part of the cost of rehab through short-term disability insurance provided by the employer. When it comes to managing employer-provided insurance coverage, a reputable rehab center can help to coordinate coverage while maintaining confidentiality with the employer. According to the website for the Affordable Care Act (ACA), Healthcare.gov, mental and behavioral health care are considered to be essential health benefits, and they are included in coverage to the same degree as medical and surgical benefits, which means that mental health care benefits must be provided under all policies sold through the ACA programs. As a result, substance abuse treatment is required to be covered under these plans. Similarly, Medicaid as expanded by the ACA and MHPAEA is required to cover mental health and substance abuse treatment, as explained by the Centers for Medicare and Medicaid Services. Again, the amount of coverage as compared to the amount that the insured person pays out of pocket varies depending on the policy purchased; professionals at the treatment center or the provider of the policy can help clarify this detail. In addition, states that have not implemented the ACA and expanded Medicaid accordingly may have different policies. It’s important to verify coverage through the specific policy held either by contacting the policy provider or working with an experienced rehab center. Medicare Parts A and B include coverage for addiction treatment, including alcohol rehab. Medicare Interactive details the ways in which Medicare provides coverage for addiction treatment. Also affected by the MHPAEA, Medicare covers mental health and substance abuse treatment equitably. Medicare Part A, which covers hospitalization, can cover inpatient treatment for qualified facilities. 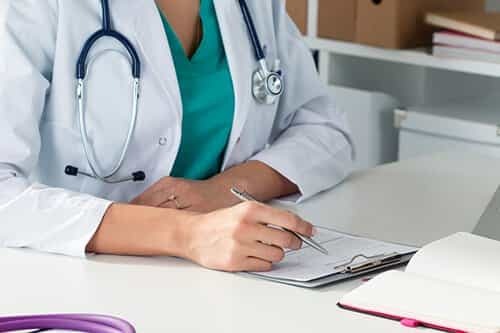 Part B services include other elements of treatment, including therapy, follow-up care, and any drugs or treatment elements that are provided during hospitalization. This can also apply to partial-hospitalization or outpatient addiction treatment services. Part D can coverage can help cover other medications that may be deemed medically necessary after treatment. Individuals can apply for grants or scholarships, such as those available through the Substance Abuse and Mental Health Services Administration or other organizations; check with the local behavioral health administration for more details. Sliding scale rates are offered through some rehab facilities to help those who can’t afford to pay the full costs. The facility might also be able to provide financing or loan options. Dipping into savings, including borrowing from some retirement programs like IRAs, can be a way to help pay for the cost. Borrowing from friends, family, or even employers may be an option; to help keep these relationships strong, be sure to set and keep a specific plan to reimburse any borrowed money. There are options to pay for treatment, and exploring those options is worth it to access the program that is most likely to help a person struggling with substance abuse recover and avoid relapse.